Songbirds can tell the difference between their song and that of a closely related species from the time they are young, but it's unclear how. A new study suggests their ability is innate and largely determined by their genes rather than learned from the adult birds that raise them. What it means: A bird's song helps it to recognize its own kind and, through natural selection of the genes involved in how a bird learns to recognize the song of its species, these melodies could actually play a role in forming new species. The experiment: Uppsala University's David Wheatcroft and Anna Qvarnström switched the eggs in nests of pied and collared flycatchers and, when the birds hatched, they played recordings of both species' songs for them. They found that the young birds responded more - by opening their beaks, chirping and looking around - to the song of their own kind, suggesting their experience early in life wasn't determining their song preference. 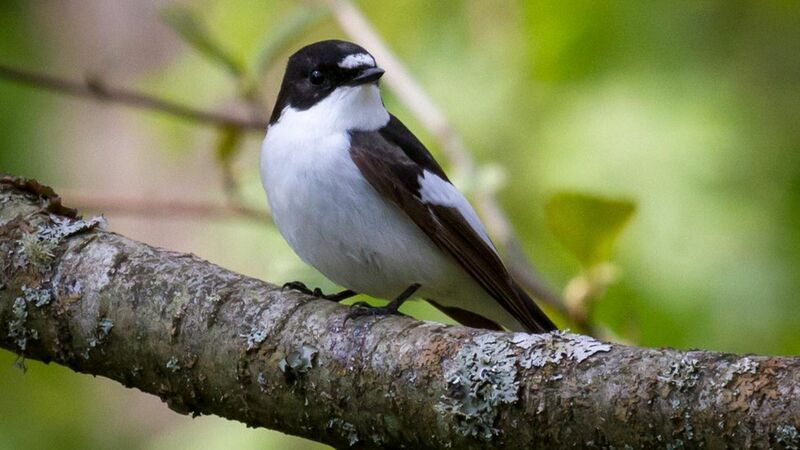 They then generated a hybrid of the two species and found that the young birds preferred the song of the pied flycatcher regardless of the species of their mother.